The Main Library (The Shaw Building) houses our adult collection. There is comfortable seating & tables for work space and a friendly staff to help you find what you need. We have a wide collection of Fiction, Non-fiction, Large Print, Paperbacks, a wonderful collection of Maine Books, Music Cd’s, Dvd’s, Audio Books, Local Newspapers, Magazines. We also have a wonderful telescope for viewing the stars (ask at the desk, how you can take this home). We offer interlibrary loan – if we don’t have what you need in our collection. At the front of the Shaw Library building, you will find to the left of the front door our book & dvd return. The Davis Annex Houses our collection of children’s books preschool to high school. Our public computers are also located in this building for public use. Plus You Can Download A Book, Audios, and E-books free by going to download Info Net Library. Residents and property owners of Greenville and Greenville, Jct., pay for the operational cost of Shaw Public Library thorough their yearly town taxes. 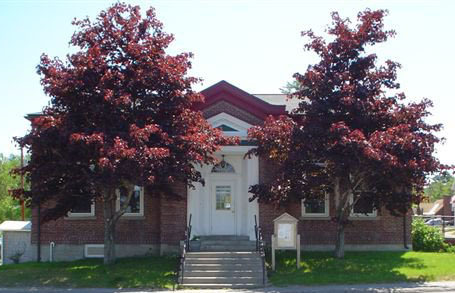 Several towns make an annual donation to the library thus helping with operational costs. Those towns are Shirley, Beaver Cove and Harford’s Point Association.